Finally, Android Oreo is no longer limited to the beta channel! 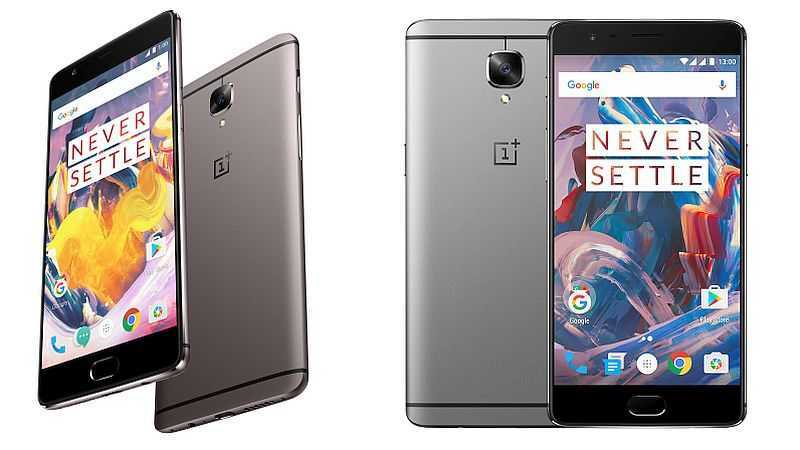 All OnePlus 3 and 3T users across the globe can now enjoy the new OS on their phones thanks to a new OTA update that is already rolling out. The update not only installs Android 8.0 Oreo on OnePlus 3 and 3T handsets, but it also brings quite an interesting set of features as well – features that were previously unseen on Nougat-based 3 and 3Ts. Note that this is an OTA update, which means it will take time before all units are updated to Oreo, however, the wait shouldn’t be long. So, what are some of the new features you get after installing Android Oreo on your OnePlus 3 or 3T? This isn’t a feature, but it’s an updated version of the beloved OxygenOS skin that runs on top of OnePlus 3 and 3T handsets. Many love this skin because it’s near stock and v5.0 doesn’t mess about with any user experiences. Although there aren’t massive design changes when compared to the previous Nougat-based OxygenOS 4, this new skin brings with a bunch of new features as part of the Oreo update. Those who have been part of the open beta channel will tell you all about Parallel Apps, but for the uninitiated, this is a feature that lets OnePlus 3 and 3T users run multiple instances of the same app. This is something that a number of third-party apps can already do, but the new Oreo has it inbuilt for an even better experience. To find out the supported apps on your phone head, to Settings>Apps>Parallel Apps. When Google introduced Android O developer preview, one of the most talked-about features was picture in picture. Quite a good number of apps didn’t support the feature, but over time, more developers have jumped on board. When watching a video on WhatsApp, picture in picture lets you watch the video through a floating window while you do other stuff like texting your friend or browsing the app. To enter into PIP mode, just hit the home button when the video is playing and that’s it! Another cool feature that comes as part of Android Oreo update to OnePlus 3 and 3T is Autofill. Oreo comes with an Autofill Framework that connects to an Autofill service in order to ease the process of signing into apps, much like Google Chrome already does. If anything, Autofill is simply borrowing what Chrome already does and implementing it system-wide, which is kind of cool. OnePlus 3 and 3T users will also get a new Smart Text Selection feature after updating to Android Oreo. Although the 5.5-inch panels on the two phones have plenty of room for selecting text, getting it right all the time can be a problem. With Smart Text Selection, OnePlus 3 and 3T users will only be required to double tap text and the feature will automatically expand the selection as needed. It gets even better as you can also see options like Cut, Copy, and Paste once the text is selected. “Notification dots” is also another new feature that is part of Oreo. Here, you’ll see the dots appearing on app icons with notifications (in the shade) that haven’t been opened. When you clear the notification in the shade, the notification dot also disappears. Not a huge change, but it’s cute to have it. After the update to Android Oreo, OnePlus 3 and 3T users will also get a new Quick Settings design, new app folder design as well as an updated security patch, although still two months late. Have you received the Oreo OTA update on your OnePlus 3 or 3T? What’s your experience so far? Let us know in your comments below.